The Halo: Spartan Assault Original Soundtrack is the musical score to Halo: Spartan Assault. The soundtrack was composed by Tom Salta. The soundtrack was released on July 18, 2013. The game was the first time Tom Salta has worked on a game that has music already created and established by another composer. 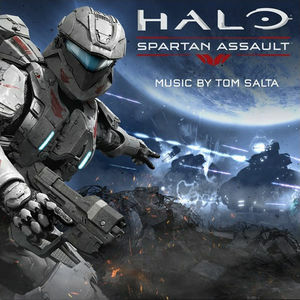 Salta said that the original soundtrack for Halo: Combat Evolved is “like sacred ground for me.” and it had inspired him to compose music for games. A preview of the soundtrack was released June 13, 2013, under the name "Legacy". Weeks later, a second preview called "Wolverine's Return", was released.